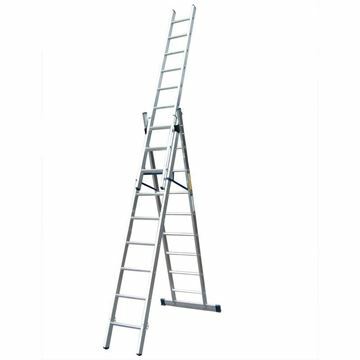 This versatile combination ladder can be used as either a 2 or 3 section ladder. 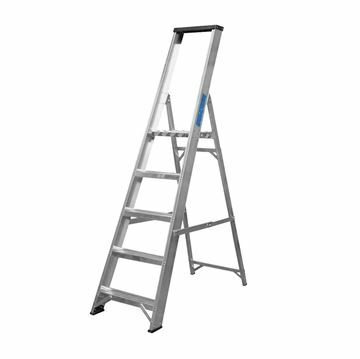 It features a double sided step, extended step ladder or for use on stairs (6 & 9 Tread only). The ladder is certified to BSEN131 making it suitable for Trade use. It comes with Large comfortable 'D' shaped rungs for comfort and stability, strong box section stiles and solid sidearms for increased stability. Manufactured for regular light trade work, this Glassfibre platform stepladder from Lyte is lightweight, stable, durable and easy to transport and use. Featuring unique strengthening beams that are incorporated into the non-slip treads, anti-slip rubber fit that grip the floor surface, aluminium side arms that prevent slips and twists and a top rung platform that provides extra safety and stability when accessing areas that would otherwise be hard to reach. 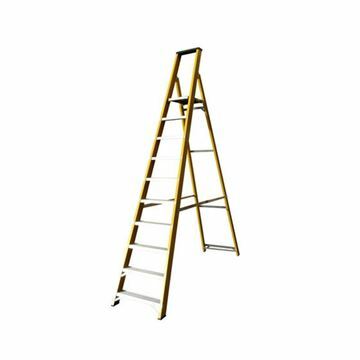 This ladder also benefits from being a non-conductive ladder as it is manufactured from Glassfibre, making it the ladder of choice for those working in areas with potential electrical hazards. Faithful, steel hop up in red. 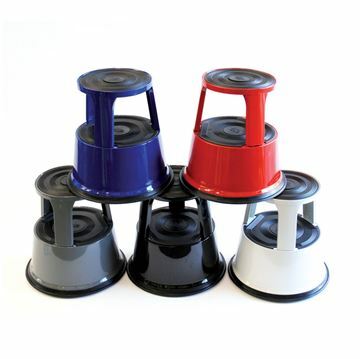 Simply kick along into position, hop on and the sprung castors lock in place. Commonly used by retailers, libraries and offices. 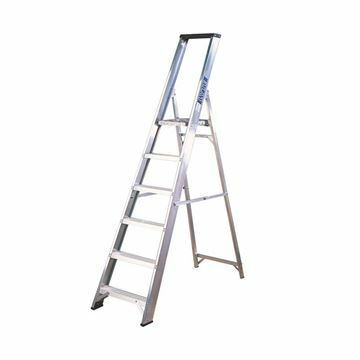 High quality aluminium platform stepladder. Strong, lightweight aluminium ladder. Top tread not suitable for standing on.